With the firm since 2016, Sarah assists our Intellectual Property team with domestic and global portfolio management, maintenance and prosecution support, as well as transactional diligence. 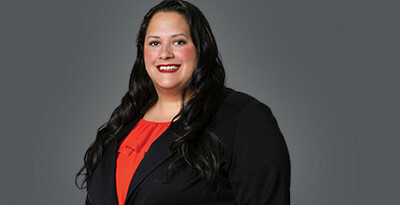 She also assists the firm’s franchising clients with coordinating national franchise compliance by preparing both federal disclosure documents and state regulatory filings. Sarah has almost two decades of experience in project management roles, coordinating and managing timelines and developing and maintaining relationships with clients, earning her multiple culture and performance awards. Sarah is a graduate of John Jay College of Criminal Justice, graduating with honors and earning a bachelor’s degree in forensic psychology.